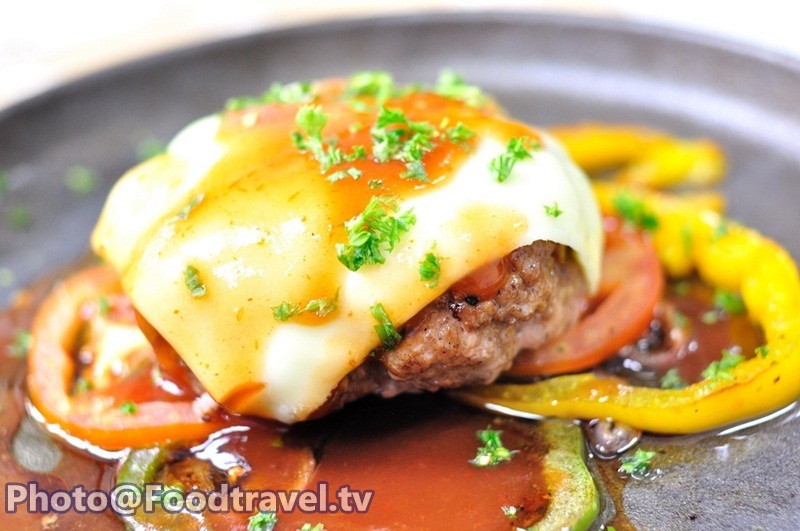 BBQ Hambagu - Another fusion menu that we put the barbecue taste into this Japanese style burger. The advantage of this serving-style is to avoid the tedious. We can eat BBQ Hambagu as snack or with rice as well. 1. Mold a meat to a burger. Season with salt, pepper and turkey sauce. Set aside for 10 minutes. 2. Season vegetables with salt, pepper, and mix with oil just a little. Then grill on a hot pan and set aside. After that, in the same pan, grill burger 4-5 minutes on each side. 3. 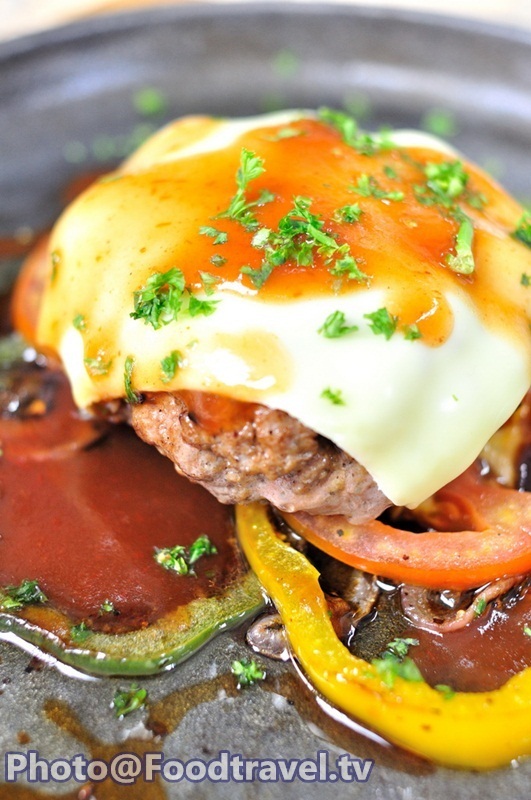 Place grilled vegetables on the plate, then add burger, cheese, and dress with BBQ sauce. Then sprinkle around with chopped parsley and finished. Add cheese in the hot burger. Cheese will melt after a few minute and it’s so good!